After causing a fatal crash approximately one year ago, a Virginia drunk driver received a 25-year prison sentence and 20 years of suspended time, according to an article by ABC7. In addition to incarceration, this 29-year-old Virginia man will face $1,000 in criminal fines and indefinite revocation of driving privileges. After his release from prison, the man will be on supervised probation for a 10-year period. Additionally, the man will speak about the dangers of driving under the influence (DUI) at various community awareness events. Rewinding the clock to the initial car accident, the incident in question occurred on March 8, 2018. At that point, the Virginia man was operating his vehicle on Algonkian Parkway. He attempted to make a left turn onto Potomac View Road. Instead, the man smashed into another passenger vehicle. The force of the collision ejected the other driver from his vehicle. That driver suffered severe physical injuries. As a result, first responders transported the driver to a nearby hospital for medical care. Nonetheless, the other driver died from his injuries approximately six days after the accident. Virginia State Police troopers responded to the incident and conducted an initial investigation at the scene. The troopers suspected that the Virginia man was intoxicated and administered a test. The man registered a blood-alcohol concentration (BAC) of 0.12 on that test, which is above the legal limit of 0.08. After further investigation, the Virginia State Police troopers found 21 beer cans in the Virginia man’s vehicle, 11 empty and 10 unopened. Furthermore, the Virginia man admitted to consuming alcohol before driving his vehicle. As a result of this incident, a grand jury indicted the Virginia man for felony homicide, DUI, and other criminal charges, reported Loudoun Now. A type of second-degree murder charge, felony homicide is a lower-level type of murder offense. While committing another felony crime. Section 18.2-33 also outlines the penalty structure for felony homicide. Under Virginia law, the punishment for this offense includes a minimum of five years and a maximum of 40 years in a state correctional facility. As applied to the present case, there does not seem to be any evidence that the Virginia man intended to kill the other driver. But he did accidentally kill that driver while committing the felony crime of DUI, which led to a guilty verdict and sentencing. If you have legal questions about DUI, felony homicide, or other criminal offenses in Virginia, it is enormously helpful to consult with a criminal defense attorney. 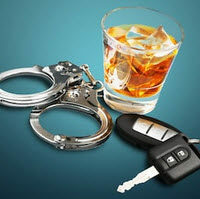 The DUI attorneys at Simms Showers LLP, servicing Leesburg, Winchester, Fairfax, and Manassas, have wide-ranging experience in the practice of criminal defense, including DUI, felony homicide, and other offenses. If you need legal help with criminal defense, contact us today for a free initial consultation.